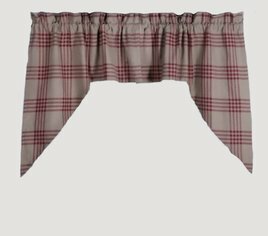 The timeless Chesterfield Check Drapery Panels Barn Red is a beautiful finishing touch in your country home. Made of 100% cotton and is 84 Inches x 86 inches. The set of 2 panels is fully lined with a 2 Inch header and a 2.5 Inch rod pocket. Designed and manufactured by Home Collections by Raghu. 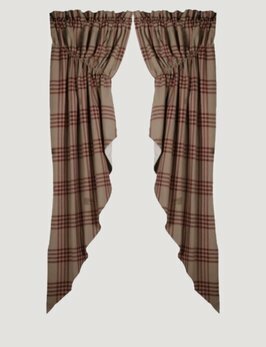 Thank you for choosing to shop with us and considering this Chesterfield Check Curtains from Home Collections by Raghu! The Chesterfield Check Barn Red Gathered Swag will add a timeless touch to your country farmhouse. 100% cotton. This is a 72 Inch x 63 Inch (2 pcs) fully lined swag with a 2 Inch header and a 2.5 Inch rod pocket. The Chesterfield Check Barn Red Panels, Oat-Grid, with 2 panels included. These timeless panels are made of Cotton & lined. 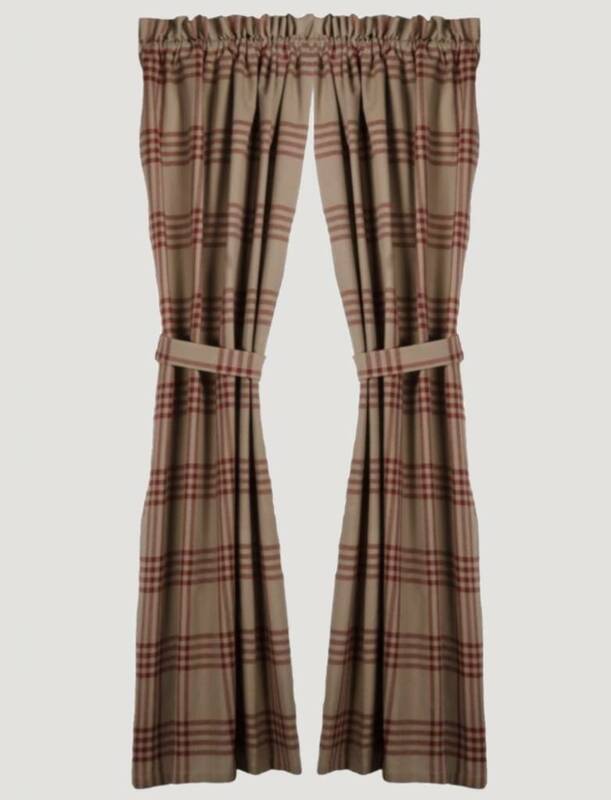 Pair of fabric tiebacks are included. Size is 72" x 63". 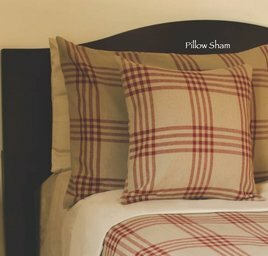 The timeless Chesterfield Check Swag Barn Red is a beautiful finishing touch in your country home. Made of 100% cotton and is 72 Inch x 63 Inch (2 pcs) fully lined swag with a 2 Inch header and a 2.5 Inch rod pocket. 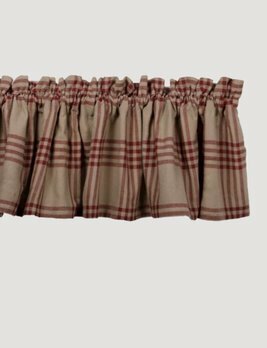 The Chesterfield Check Barn Red Tiers is a perfect finishing touch to your windows! 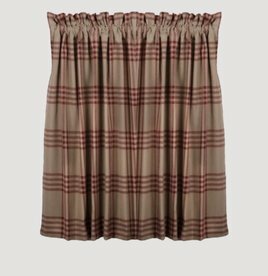 Made of 100% cotton this curtain is 72 Inch x 36 Inch (2 pcs) set of fully lined tiers with a 2 Inch header and a 2.5 Inch rod pocket. Chesterfield Check Barn Red Valance, by Raghu. 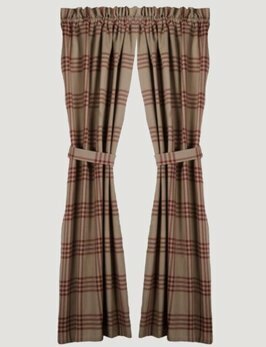 Features a large plaid check pattern . Measures approx 72 inches wide and 15.5 inches long, with a 2 inch rod pocket and 2.5 inch header. 100% cotton. Lined.